Japan NC System Company converted a Suzuki EBD-DA64V to a hybird car, equipped with a Kelly KBL72301C controller and Mars 3001 motor. 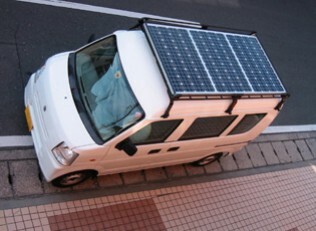 This hybird car was installed with a solar panel, which can maintain its charging in an emergency, such as earthquake, the car can be used as shelters. Wow this is very awesome...does this car still use fuel as its main source of propulsion? The current world aims are to make those that are fuelless. The only problem is if you live somewhere that isn't sunny. That is true. But in that case, just grid charge the vehicle. Although even cloudy days generate some power on solar cells.